Acai berry contains a higher concentration of compounds known as anthocyanins than any other commercialized berry. These compounds are the ones thought to be responsible for giving red wine its widely reported health benefits. However, the Acai berry has 10 to 30 times more anthocyanins than red wine does. Acai contains high omega fatty acids, and studies have shown that high omega fatty acids can lead to lowering bad cholesterol levels (LDL) and maintaining natural HDL cholesterol levels. The antioxidant benefits of the Acai berry, combined with the fatty acids it contains, make this one of the most important superfoods on the market. You can use Nature Restore Acai by easily adding one or two teaspoons to smoothies, shakes and more. The Acai berry is grown in the Amazon rainforest and has only been on the market for about 10 years. The berry has been around for thousands of years but it wasn't until the 1990's that it became popular to the western world. 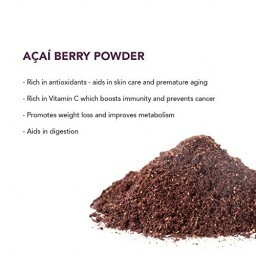 Acai is naturally full of energy, it has a strong berry taste with a little hint of chocolate. 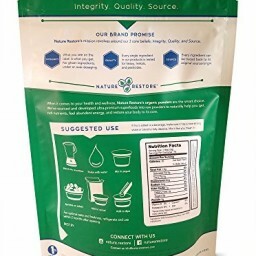 Acai is also high in proteins, fiber, Vitamin E, minerals and essential Omega oils.Our wild harvested acai berry powder includes a nominal amount of non-gmo maltodextrin to prevent the berry from clumping. 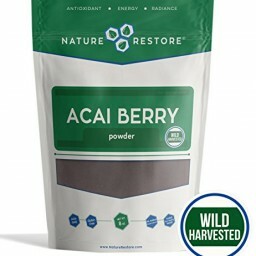 Learn more about what you can do with our wild harvested acai powder at naturerestore.com/blogNote: Customers may receive product with the original packaging shown or updated packaging design. 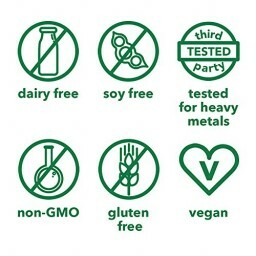 Product inside remains the same! Shipping is free for Amazon Prime members only.